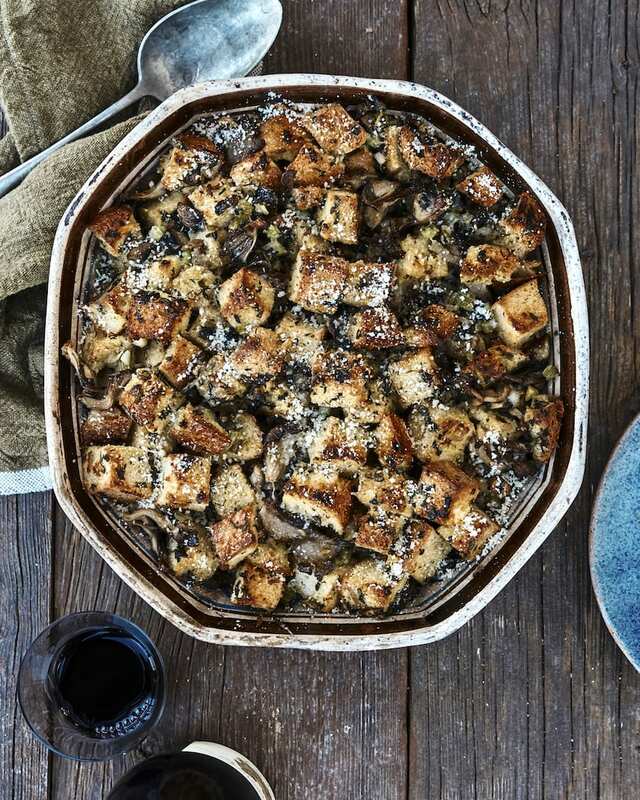 Today we’re talking about this Wild Mushroom Stuffing. If you’re a long time reader of What’s Gaby Cooking, you know that stuffing and I are best friends. FOREVER. It’s my favorite part about Thanksgiving and I love this recipe. 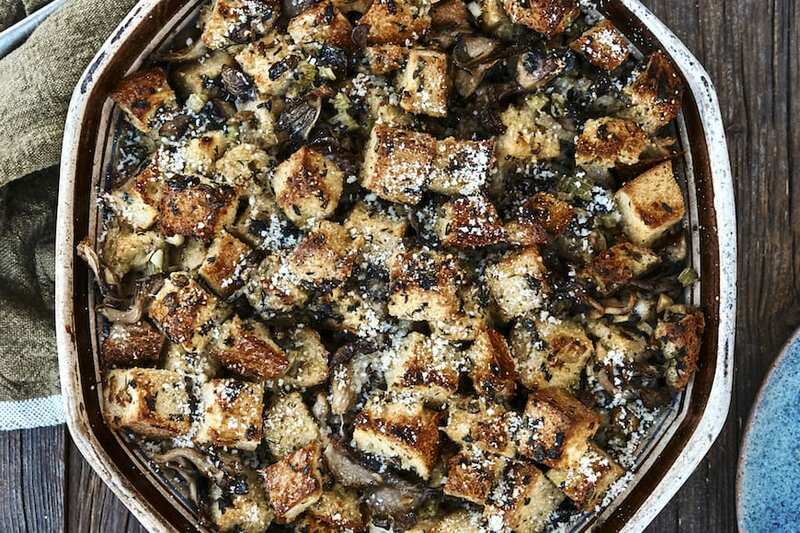 Hands down the best stuffing recipe EVER created and I’ll never deviate from it. I drizzle a bit of my homemade gravy on top and go to town. It’s earthy with all the mushrooms, fresh because of all the variety of herbs and perfectly salty with the addition of Parmesan cheese. You really can’t go wrong. AND… because I know not all of you are as obsessed with mushrooms as me (I’m looking at you mom!) you can easily omit those when whipping this up and it will still be a mega star! AND if you have vegetarians in your family, they will love the addition of shrooms! Add more broth (about 1/2 to 3/4 cup) to stuffing if it still looks dry. Transfer to skillet or baking dish. Cover with buttered foil. Bake 30 minutes. Remove foil; bake until golden, about 30 minutes.